There are numerous reasons to get MP3 from YouTube videos or playlist channel. Perhaps because massive media contents, especially music videos are frequently posted on YouTube, and to rip MP3 from YouTube becomes an attractive option for those who want to enjoy music on Android iOS mobiles without having to purchase the tracks. For whichever reason that you’re doing so, a good YouTube MP3 extractor/ripper is a must-have helper. Here below we introduce simple ways to strip audio/music from YouTube videos in MP3 (320kbps/128kbps) in Hindi/English for Android/iPhone iPad with the aid of YouTube audio extractor. When it comes to detach audio/music from YouTube in MP3, it’s lucky that there are various solutions out there. However, there is good chance that you may get into malware or poor output audio quality. 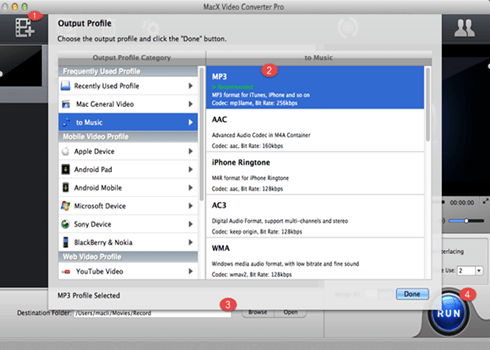 The desktop YouTube mp3 grabber which offers easy and high-quality YouTube MP3 ripping is MacX Video Converter Pro. This YouTube to MP3 extractor can free download and convert YouTube videos in Hindi/English/Tamil etc (HD 1080P/720P, 4K/8K UHD) to MP3, as well as AAC, AC3, WMA, iPhone Ringtone etc. The advanced features allows ripping MP3 audio from YouTube in 128kbps, 256kbps, 320kps etc high quality for playback offline on Android, iPhone X/8/7/6S/6S Plus, iPad, iPod etc. 1. Directly download YouTube to MP3 and other audio formats. 2. Less than 30 seconds only to download a music video from YouTube in MP3. 3. Download YouTube to iPhone and other mobiles with 400+ preset profiles. 5. Built in High-Quality Engine and reserve 98% quality after conversion. 1. Limited video edit option, only available for trimming, cutting, watermarking and subtitle adding. 2. Doesn't support converting audio to audio format. Feature-rich, high quality, and incredibly fast video converter that's enables users to view any video with 420+ video/audio codecs and advanced HD video decoding engine. You can even download website-embedded videos from YouTube so that you can keep them for local storage. Step 1: Free download this MP3 YouTube audio ripper on Mac, or get the windows version for Windows PC. Launch it and click "YouTube" icon. Copy and paste video URL of the YouTube videos to the box frame. 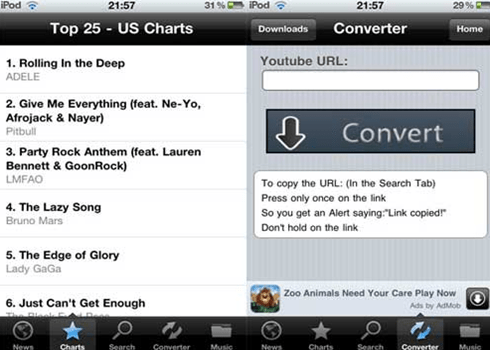 Click "Download Now", it will automatically download YouTube music video. Step 2: Choose output format. To strip MP3 from YouTube video/playlist, go to "to Music", and select "MP3" as output music audio format. You are also allowed to separte audio from YouTube in AAC, AC3, iPhone Ringtone, OGG etc, or download YouTube in MP4, AVI, 3GP, MKV etc. Note: You can rip mp3 from YouTube in 320kbps, 256kbps, 128kpbs and more option by selecting the bitrate you like. Step 3: Click "Browse" button to select a folder to save the extracted YouTube MP3 files. Step 4: Click "RUN" button to start ripping YouTube to MP3 losslessly. This YouTube mp3 extractor/ripper also allows users to rip mp3 audio from 300 more sites like Vimeo, Vevo, Dailymotion etc. The whole process will be done in no more than 30 seconds! Besides desktop YouTube mp3 rippers, there are many online YouTube to MP3 download services for you. Considering the need to rip YouTube to MP3, here we recommend Clip Converter, a free online conversion application which is mainly designed for YouTube 1080p download and even enables to convert the YouTube URL into MP3 as well as a few limited formats, namely, M4A, AAC, MP4, 3GP, AVI, MOV. Step 1: Open the site at http://www.clipconverter.cc/. Copy and paste the URL of the YouTube video you want to grab MP3 from into the box and click Continue to load the information. Step 2: Choose output format from the formats list below. 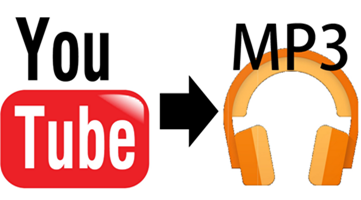 To rip audio/music from YouTube in MP3, choose MP3 as the output format. You can also choose M4A, AAC, MP4, 3GP, AVI, MOV if you need. Step 3: Set the audio parameters to save YouTube videos in mp3 320kpbs, 256kpbs or other modes. Step 4: Click "Start" button to start to rip mp3 from YouTube music video/clips (Hindi/English etc). The YouTube to MP3 conversion process depends much on your bandwidth and internet. Many people just love to download YouTube MP3 to their mobile devices. Now the question is, how to extract YouTube MP3 on Android iPhone iPad directly via WiFi? For those who want to download MP3 on mobiles directly, here we also share two YouTube mp3 ripper apps for Android and iOS devices respectively. TubeMate is a popular YouTube to MP3 app for Android which allows users to quickly access, search, share and grab MP3 from YouTube videos. It features full support for various resolutions, including SD and HD videos. The whole YouTube mp3 ripping process happens in the background, which enable users to watch other YouTube videos, surf the internet etc while extracting the audio. Step 1: Download from Google Play. Download the APK file and transfer the file to your phone and install it manually on Android. Step 2: On the interface of TubeMate, search and view the YouTube video you want to rip Mp3 from. you can search and view any YouTube video on it. Step 3: Select a video, then you will give the choice to download a watch the video. Click download and the quality modes will appear. 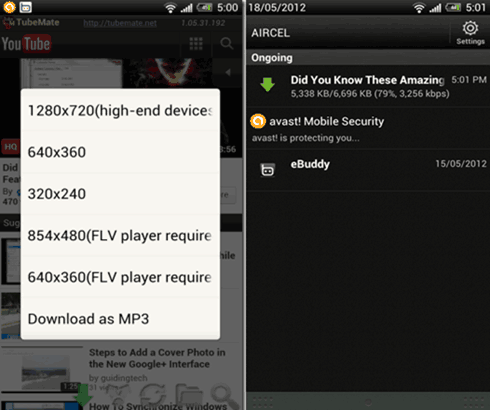 Choose Download as MP3 option and it will start to convert YouTube video/playlist to MP3 on Android. The output audio quality depends on that of the source video. And the extract MP3 Hindi/English file will be saved in a folder called MP3 on your Android. Step 1: Jailbreak your iPhone iPad or iPod. Step 2: Install Cydia on iOS device to search/download the app. Step 3: After install the app on your device, you may start to extract audio/music from YouTube as per the process of ripping MP3 from YouTube to Android above. MacX Video Converter Pro is the best YouTube WAV converter, which can easily convert YouTube videos to WAV, MP3, AAC, AC3, and other video formats such as YouTube to MP4, AVI, WMV, MKV, MTS, MOV, etc, along with excellent YouTube video download feature.